Prior to its removal, the #les hashtag’s “super topic” had over 140,000 followers and 125,000 posts. #Les was also one of the most searched terms on Weibo before content attached to it was taken down. The Chinese non-profit organisation Beijing LGBT Centre says the ban came into place over the weekend, according to SupChina. 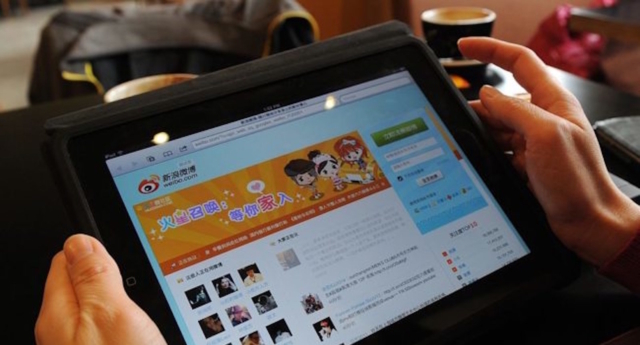 The removal comes almost a year after Weibo banned homosexual content as part of a “cleanup”. The move resulted in a backlash from its users, leading to the rise of hashtags such as #IAmGay and #IHaveGayFriends in protest. Weibo’s reported removal of lesbian content is said to be part of a new campaign by China’s National Office Against Pornographic and Illegal Publications. According to a document released last week, the organisation says online content not inline with “correct marriage views and ethics” will be removed. Activists have continuously tried to tackle Weibo’s censoring of LGBT+ content. Yanzi Peng, director of LGBT Rights Advocacy Group China, believes censorship is a regular occurrence for China’s LGBT+ community. “Media censorship blocks representation and shaping public positive public attitudes towards LGBT people,” he told Gay Star News. Users have posted photographs and videos of themselves with a cross on their mouths on Weibo and have used the hashtag #IAmLes to voice their disdain for the removal of lesbian content. The new term has garnered over 530,000 comments. China’s Netcasting Service Association (CNSA) banned LGBT+ online content in 2017.